It’s no secret that collagen is having a moment in the spotlight right now, but it really is essential for great looking skin. So what is it, and how do we get it? Collagen is a protein that gives the skin structure. It fills the spaces between cells in our skin, and is also present throughout the body, particularly in the gut, blood vessels, tendons and ligaments. In the skin, collagen is responsible for maintaining the firm, smooth appearance of young skin. 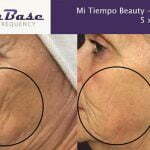 It is the reduction in collagen that happens as we grow older that causes sagging and wrinkles. Damage to collagen can also cause visible skin imperfections, such as stretch marks and pitted acne scars. If you really are serious about increasing your collagen levels, opt for a long-lasting, effective treatment instead. 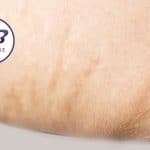 Radio Frequency causes the skin to flood itself with collagen, and it continues to work for up to three months after the treatment ends, with the results lasting for up to two years. 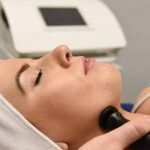 Radio Frequency helps to firm, lift and contour ageing skin and is also ideal for people with acne scarring, stretch marks and cellulite. Contact us to find your nearest Radio Frequency therapist.